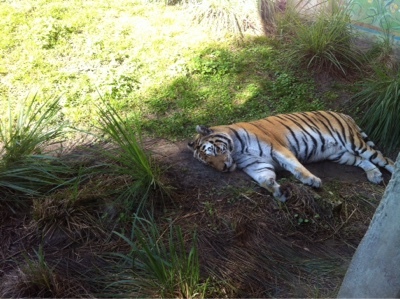 Orlando Visitor: Tigers, at Maharajah Jungle Trek, Disney's Animal Kingdom, Orlando Fl. Tigers, at Maharajah Jungle Trek, Disney's Animal Kingdom, Orlando Fl. 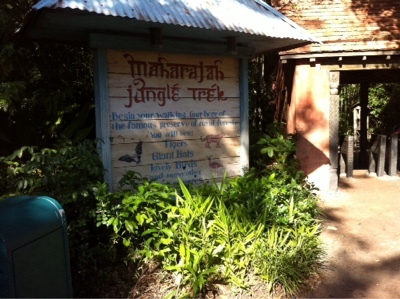 A wildlife trail at Disney's Animal Kingdom, WDW Florida can make you believe you are in the Jungle of Asia. This atmospheric walk through attraction, shows beautiful birds and animals in picturesque settings with old ruins and ancient religious symbols, together with the theme of the area being an old hunting ground for rich Maharajahs. Labels: Maharajah Jungle Trek. Orlando. Florida. Animal Kingdom. Disney World. Wildlife. Tigers.